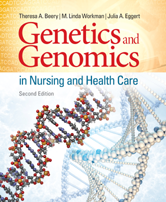 Confidently tackle the basics of genetic inheritance, the influence of somatic and germline mutations, the multifactorial relationship of gene-environment interactions, and the foundation of ethical behavior. Everyday language makes these often-intimidating topics easy to understand, while clearly defined principles, logical explanations, illustrations, tables, and clinical examples ensure you master the material. The Future of Epigenetics: Are There Clinical Applications?